Many of my YouTube subscribers and blog readers requested Holiday beauty gift guides, so I decided to share my favorite stocking stuffer and assorted small gift finds first. I did my best to include a variety of price points, starting as low as $15. Explore the complete lineup after the jump! 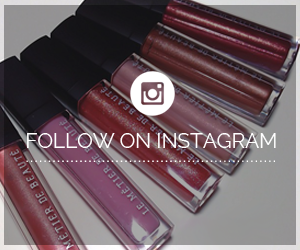 As a beauty blogger, it is in my nature to give beauty-related gifts. I like to do my Holiday shopping at Nordstrom because there are plenty of stocking stuffers and small gifts that are worth my while. The sales associates allow me enough space to browse, which I much prefer since I'm usually working and looking at the same time. I stumbled across some of these randomly while perusing by the counters and displays, and some of them were so cute that I had to share right away! 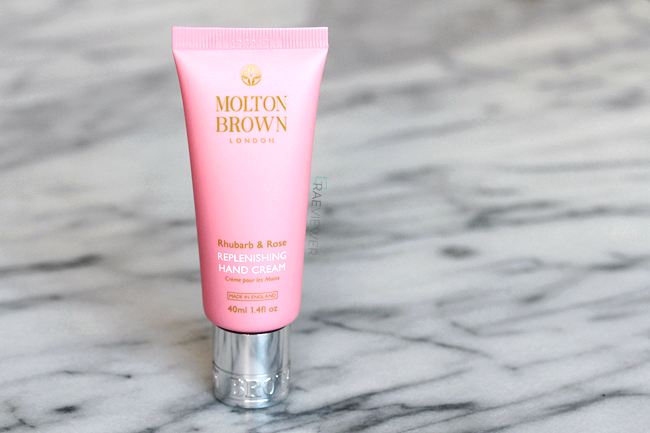 I have recently fallen in love with Molton Brown's Replenishing Hand Creams. They are affordable and perfect for every day use, as the formula absorbs faster than my preferred hand cream for travel (Tatcha). The Molton Brown hand creams come in a variety of subtle fragrances, from minty to fruity to fresh. Shown here is the lovely new limited edition scent, Rhubarb and Rose! 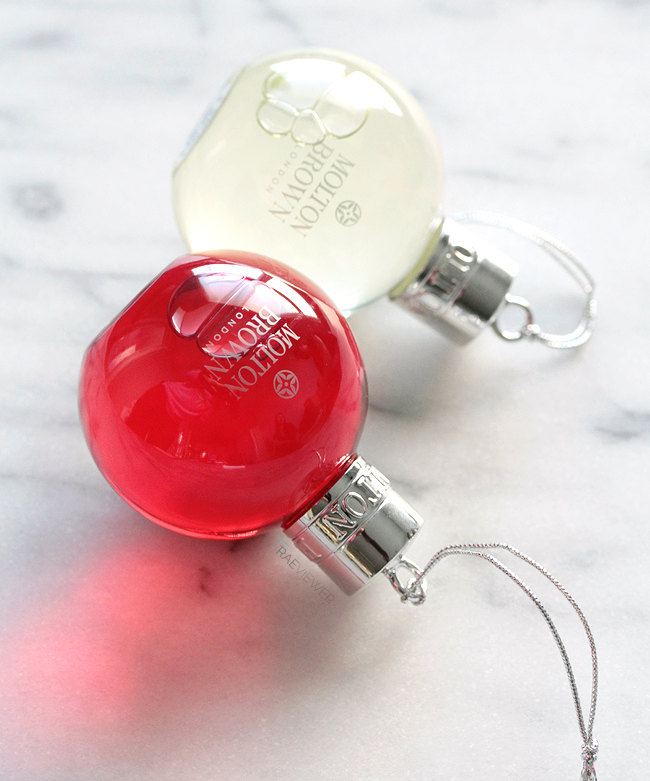 Molton Brown also wins the award for most adorable stocking stuffer of the year with the Festive Bauble Body Wash. Molton Brown's most popular body washes are packaged into clear ornament bottles with silver tops and then neatly gift-boxed. You can hang them up on a Christmas tree and then toss one into a carry-on the next day (2 oz). These Baubles are excellent holiday gifts for co-workers and acquaintances. I was told that many customers buy them by the dozens! 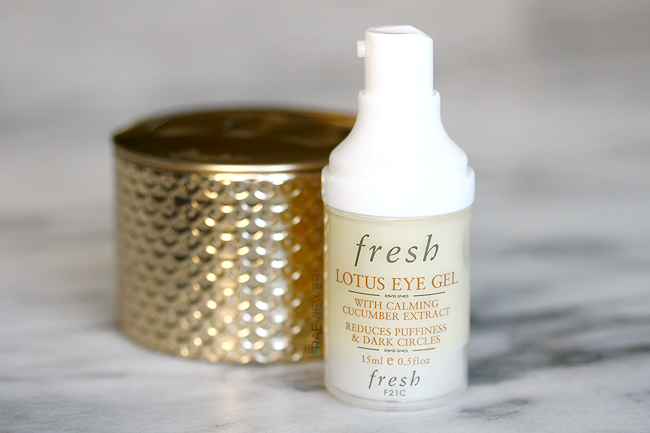 The Fresh Lotus Eye Gel is tiny and light but packs a punch as a stocking stuffer. Both men and women can use this gentle, refreshing formula. Puffiness and dryness are quite common during the winter and busy holiday season, so gift a solution that helps to soothe and revive tired eyes! This product is conveniently packaged with a pump, which is more hygienic and travel-friendly. Let's move on to some color with Dolce & Gabbana's Voluptuous Monica Lipsticks, named after D&G's Italian muse Monica Belluci. Lipsticks are, hands down, my favorite stocking stuffer! 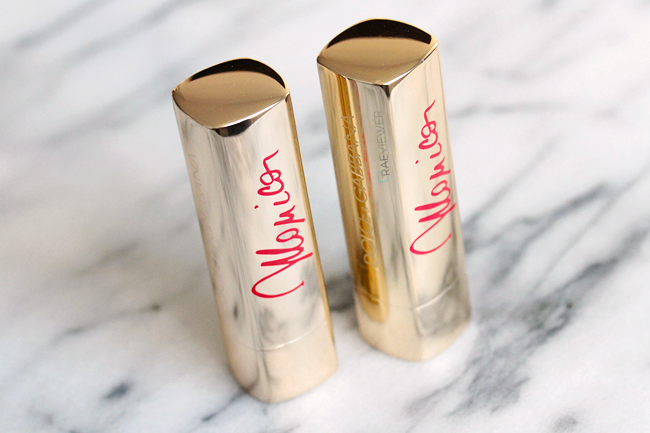 The two pictured here, Only Monica and True Monica are richly pigmented and incredibly creamy. I highly recommend the formula for sensitive, dry lips. 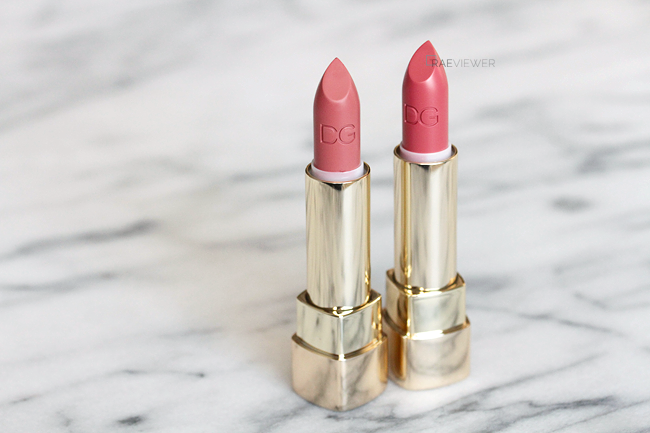 I love that the soft gold bullet and red script combination gives the lipsticks a holiday chic vibe, even though they are a permanent offering. Now, foundation sounds like an odd stocking stuffer or small gift, but all the women in my family love that I do it! 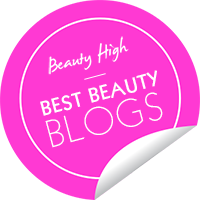 I recommend Dolce & Gabbana for their wide range in color, coverage, and finish. 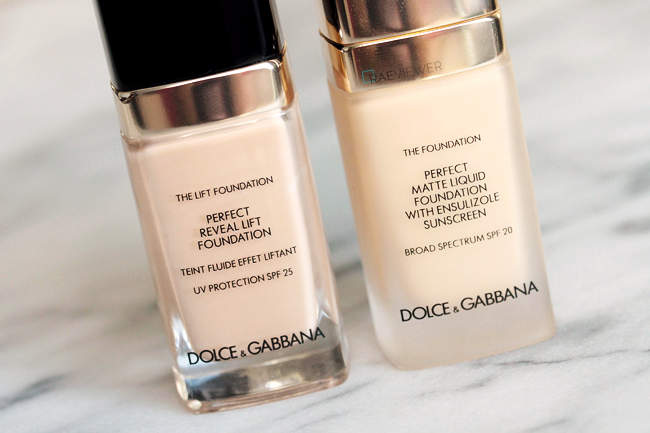 I highly recommend the new Perfect Reveal Lift Foundation for those with clear/normal to dry skin, the Perfect Luminous Foundation for combination to dry skin (my favorite of the three), and the Perfect Matte Foundation for those with combination to oily skin. The Reveal Lift is the sheerest, dewiest formula. Giorgio Armani just released Holiday 2014, a one-piece collection that is on the wish list of every beauty fanatic and beauty blogger. 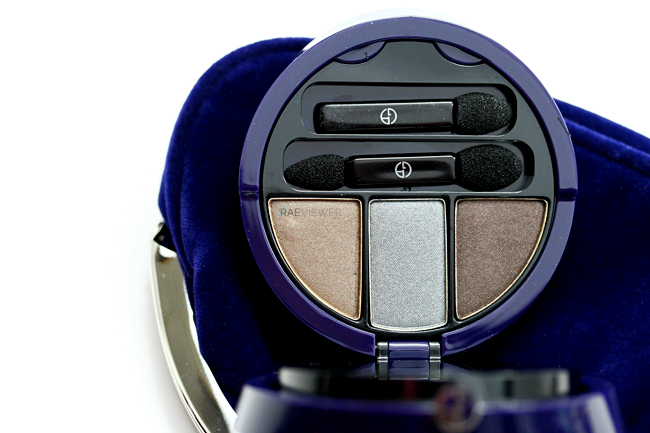 The Orient Excess Face & Eye Palette comes housed in a velvet clutch, so elegant and wearable! Just pop the navy palette inside its pouch, and drop them into a Christmas stocking to make a lightweight, luxurious stuffer. The ivory "Midnight Glow" illuminator will flatter all complexions, and the trio of "Mink" eyeshadows resemble assorted fur colors. 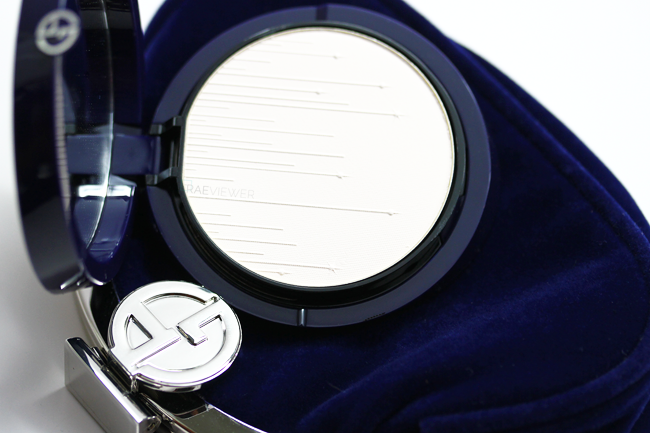 I adore Armani's ultra finely milled powders, making this my #1 designer makeup must-have. 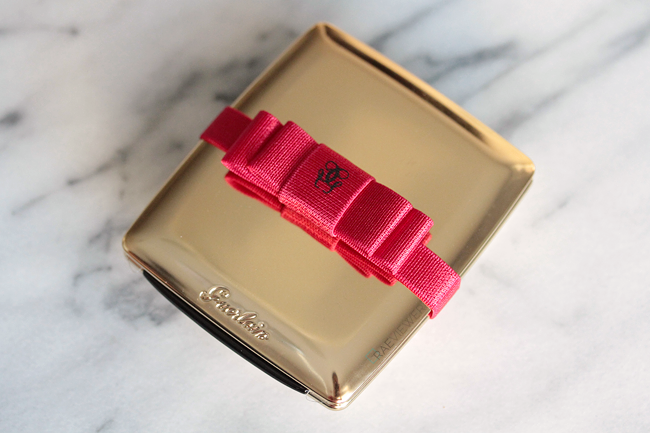 If you're looking to spoil a friend or loved one, do try the Guerlain Holiday 2014 offerings as well. The sophisticated yet sweet, gilded collection is complete with resplendent red bows as shown earlier! I recommend the Petrouchka Palette for jet-setters, since it contains both eyeshadows and blushes in one handy gold compact. I also recommend the Coque D'Or Iridescent Perfumed Powder, which is a delicate sparkling veil of body shimmer and fragrance. The bergamot, lavender, and iris notes are feminine and alluring, and the gold bow-shaped bottle (below) makes a beautiful vanity gift for any woman.